The more power you have, the more people will listen respectfully to your story. At UC Berkeley, students from many different cultures and gender identities find themselves living, learning and working together. College is also a space for students to explore their identities, test out theories ideas new to them, and learn about their histories. These dynamics inevitably lead to conflicts. When left unaddressed, conflicts can spin out of control, divide communities, and cause acute stress, mental, emotional and even physical harm. 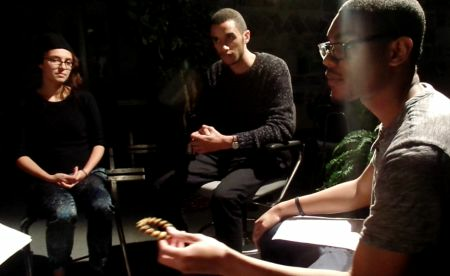 The RJ Student Leaders team was formed in the fall of 2015 to provide peer-to- peer training and services in conflict resolution, restorative practices (community building and other circles) and restorative justice (responding to harm). 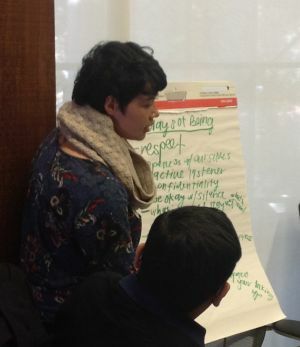 This program is unique in its goals to train students in the arts of restorative justice and conflict resolution on campus. Currently 5 student leaders are trained and practicing RP and RJ across campus in dorms, cooperative student housing (the co-ops), theme floors, sororities, student government, and classrooms. RJSL Coordinator Johanna Romero, a December 2015 graduate and former student leader, organizes our efforts. We now have so many requests for our services, we are working to build our capacity. Please support us so we can continue our work and increase our capacity in all areas of campus! 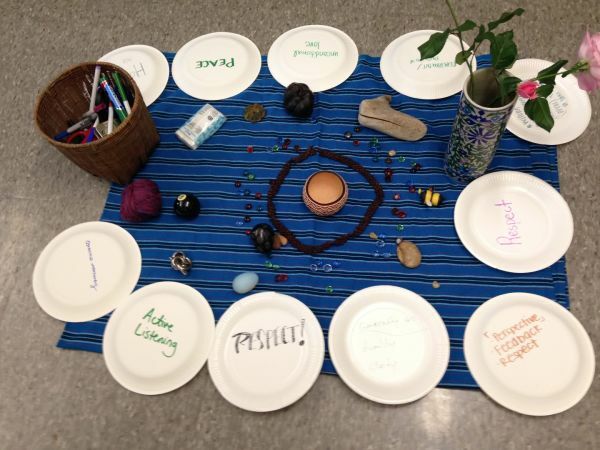 Restorative circles that bring students together to create intentional communities based on shared values and agreements for communication and relationships. Restorative conferences, where people who have harmed others are given a safe space to express accountability for their actions and work with those they harmed and their communities to make things right and restore relationships. This year alone, the RJ student leaders have trained hundreds of students in the basics of restorative circle practice, guided dozens of students through restorative processes to address harms, resolve conflicts and restore relationships and empowered students with skills and techniques to address harms and resolve conflicts in their communities. The RJ Student Leaders program prepares students with key skills for everyday life, for careers, and for healthy relationships. 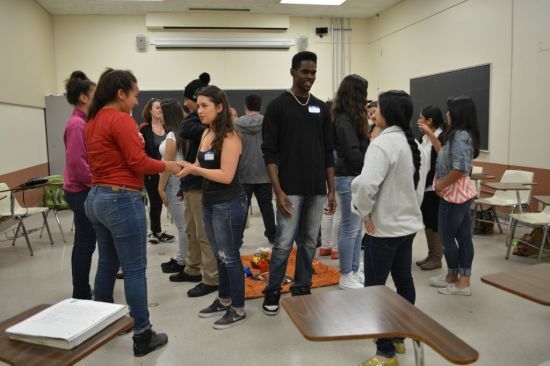 What better time than college to learn skills in empathic listening, conflict resolution, building and strengthening communities, focused conversations, and using time-tested processes for inviting accountability and reconciliation in response to harm? Cal graduates who trained through the RJ Center have also found meaningful jobs in the RJ field in schools, prisons, and in the juvenile justice system. collaborative decision-making about responses to harm and conflict. focusing on the harm done and the needs of everyone involved. empowerment of those who have been harmed. transform conflicts into opportunities for greater understanding. Donors will receive a personalized thank you from the RJ Student Leaders and be publicly acknowledged on the RJ Center website. Donors will receive a personalized thank you, acknowledgement on our website, and a digital booklet of RJ Center Circles for Colleges, a collection of circle processes created by the RJ Center for the college level. Donors will receive a personalized thank you, acknowledgement on our website, RJ Center Circles for Colleges, and a digital poster featuring the restorative questions and our favorite RJ quotes from around the world. All of the above, and a phone or skype consultation on restorative conversations and restorative practice for team building in your community or workplace. All of the above, and attendance for one at a 1-day training on Restorative Justice and Restorative Practices at UC Berkeley in summer or fall 2016. A 1.5-day training on restorative practices in listening culture, team building, de-escalation of conflicts, and conflict resolution provided for your organization, along with public acknowledgement of your generous donation on our website, blog and facebook page. 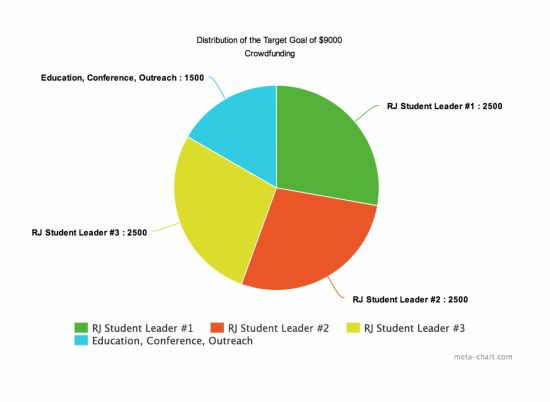 Sponsor a school (within a 15 mile radius of UC Berkeley) where our RJ Student Leaders will lead circles for students, train students in RJ peer processes, and provide curriculum on RJ and social justice issues. You will receive personalized letters of thanks from the RJ Center and the school and public acknowledgement of your generous donation on our website, blog and facebook page.